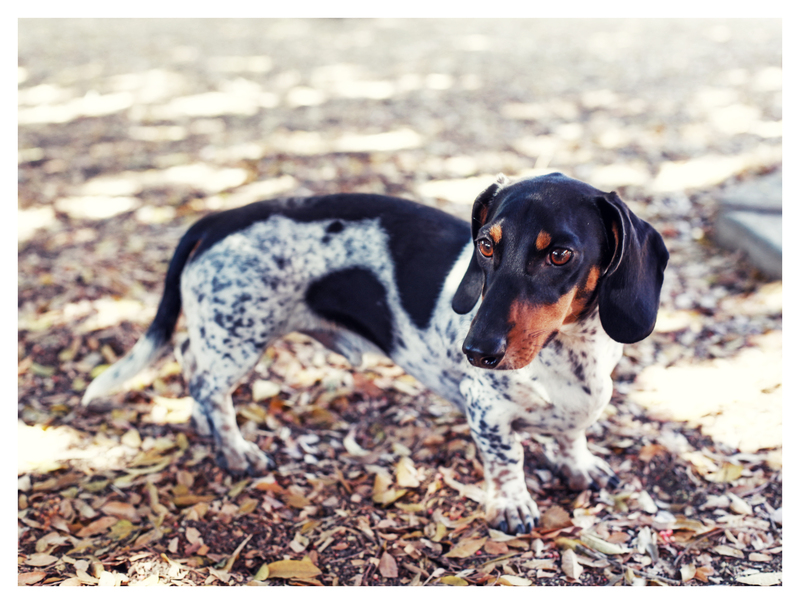 I love to photograph the dachshund form in the studio with my lights and backdrops, but I also enjoy a natural lifestyle shoot. You’ve seen the piebalds Theodore and Lucy in the studio, and today it’s all about them in a natural setting: a doxie human’s backyard. Enjoy the lovely doxie spots friends. 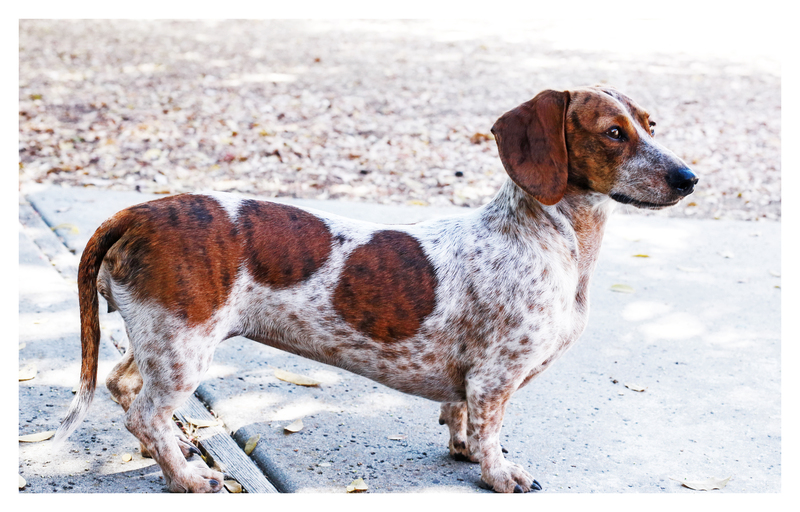 This entry was posted in Rufus' Friends and tagged #dachshund, #smooth dachshund, doxies, piebald dachshund. Bookmark the permalink. WOW Johnny they are just beautiful! I love how you got them in places that compliment their coloring…These are wonderful pictures! Thanks. 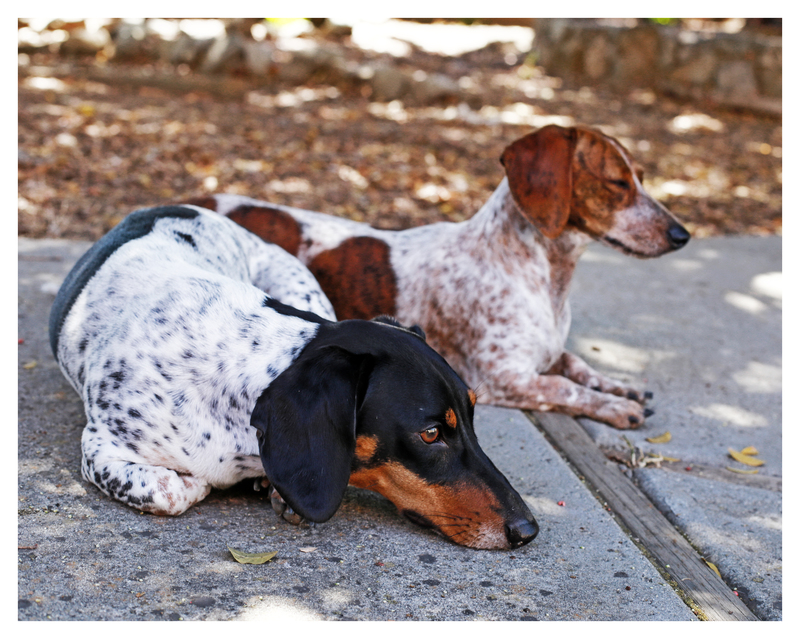 Two of the nicest piebald coast I have seen….gorgeous and look so healthy and happy!!! Nice was to finish up the piebald tribute! Beautiful doxies! I have 2 long hair piebalds. There is just nothing like them…..wish I could share a pic of mine here. Great photos as well! just gorgeous!! but then is there ANY doxie that isn’t?? I don’t think so!!!! !